Four Seasons Hotel, Hampshire, sits in the most glorious 500 acres of unspoilt parkland in rural Dogmersfield, just an hour’s drive away from London making it the perfect weekend country escape. When I visited a couple of weeks ago, I arrived to a mere flurry of snow which in a matter of hours, had turned into a full-blown blizzard! So whilst on this occasion, I couldn’t indulge in a horse, bike ride, tennis or try my hand at clay pigeon shooting or a spot of falconry, the inclement weather provided a wonderful excuse to explore The Spa, read by the fire and altogether relax at this beautiful archetypal Georgian country manor, straight from the pages of a Jane Austen novel. 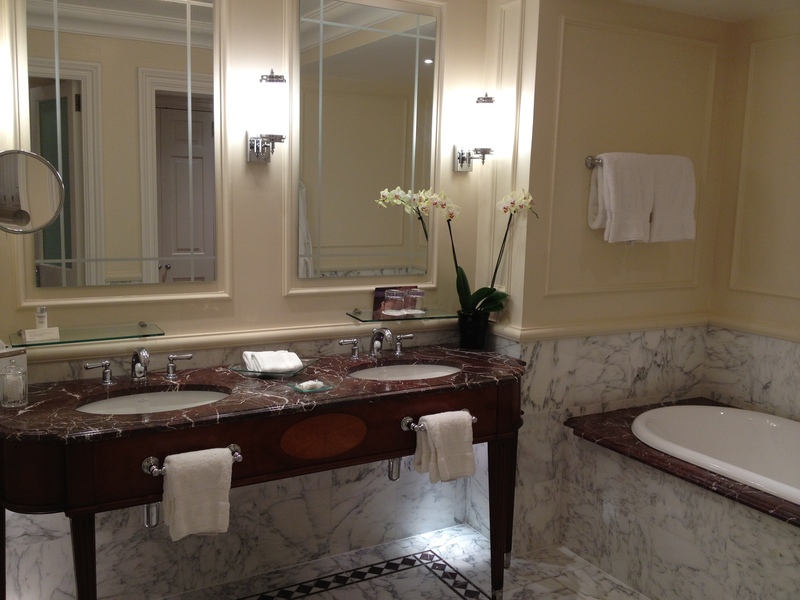 As can be expected from a Four Seasons property, the service and attention to detail is absolutely second to none (and having stayed at hundreds of properties around the world, trust me, I speak from considerable experience); not only for the two adults in my party, but for my four-legged friend, too. 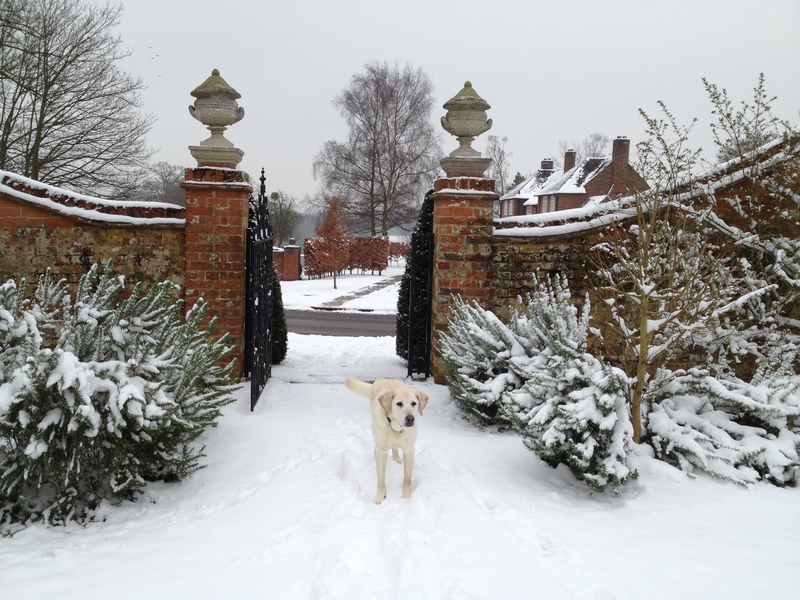 As a dog-friendly property, your pooch will receive the same VIP (as in Very Important Pets) treatment as did my labrador, Lola. 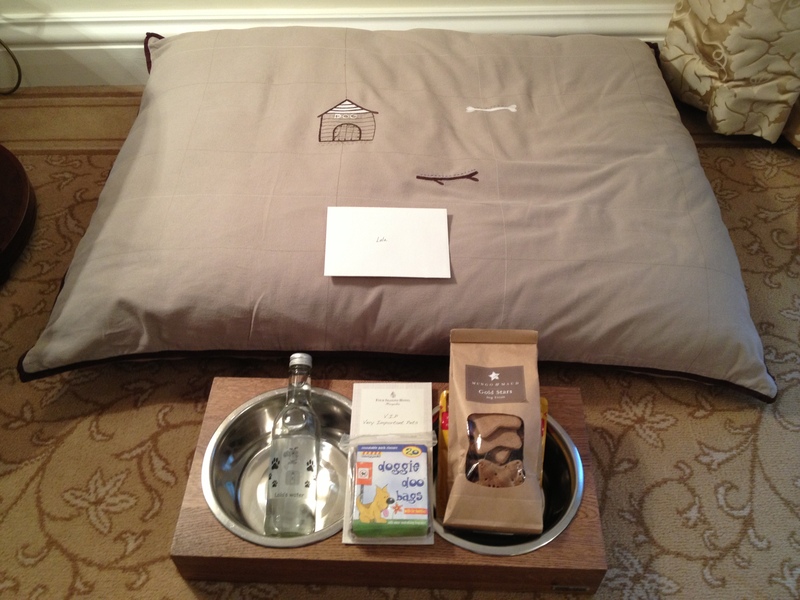 Awaiting in our suite was a Mungo & Maud bed, food bowls, food, poop bags, a personalised bottle of water and a bag of Mungo & Maud’s organic gold star treats. 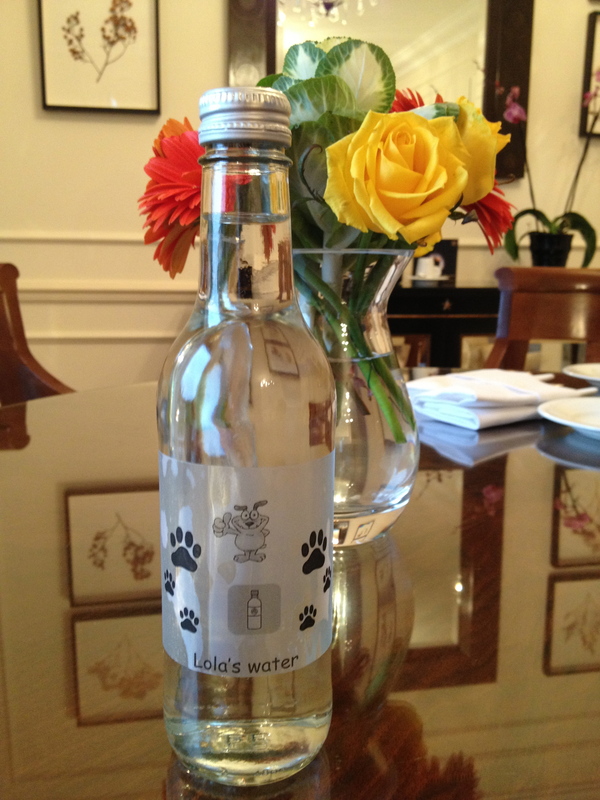 Everything you could possibly require for a 5 star doggie vacation! 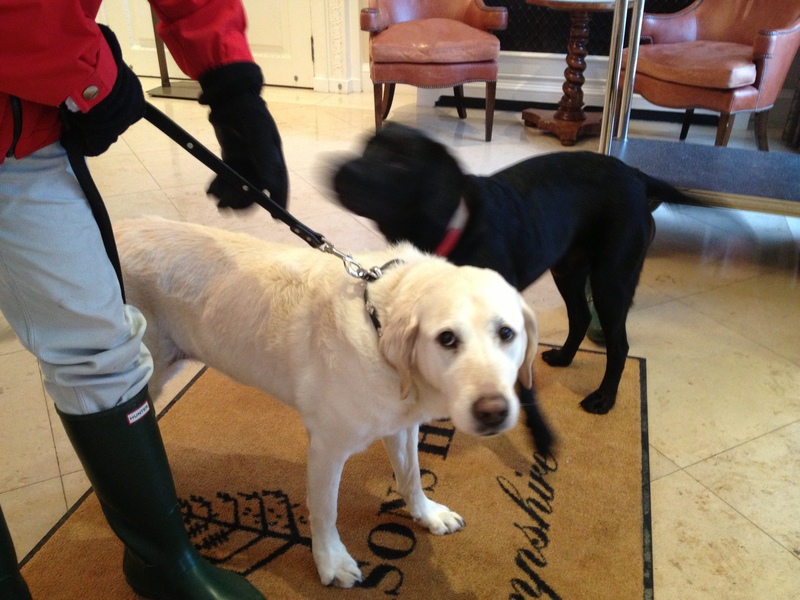 There’s also a pet menu available through room service, a list of dog-friendly pubs, suggested trails for dog walks and last but not least, a welcome letter from Oliver Beckington, the Fours Seasons adorable and super friendly black labrador. Needless to say, Oliver and Lola became the best of friends, and tails literally never stopped wagging for the duration of the stay! As Lola had become rather attached to her extremely cozy Mungo & Maud bed, it was left to the adults to explore the truly spectacular 27,000 ft spa house in the former 18th century stable block, linked to the main house by a glass walkway. I try to swim every day and when I find a 20 metre pool as magnificent as this one, and heated to a perfect temperature (no sharp intake of breath required), it makes my heart sing. 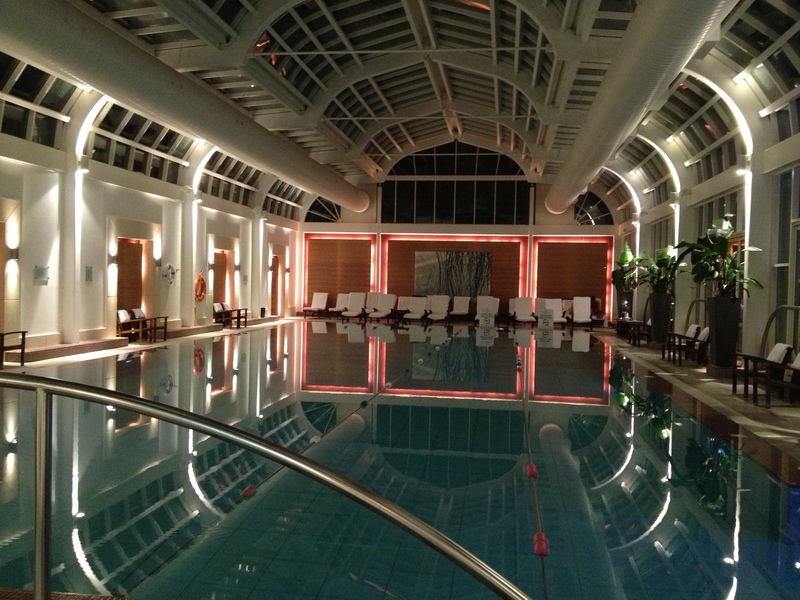 There’s also a fantastic outdoor heated vitality pool with various jets to massage tired muscles, and as temperatures dropped, snowflakes fell on our heads, and the pretty coloured underwater lights twinkled, we could just as easily have been in a ski resort unwinding after an energetic day on the slopes. The Spa at Four Seasons has 15 treatment rooms and two VIP suites with an unparalleled selection of bespoke and holistic therapies. So in love with the superbly spacious facilities, I even enquired about a possible gym membership – if only I lived a tad closer! 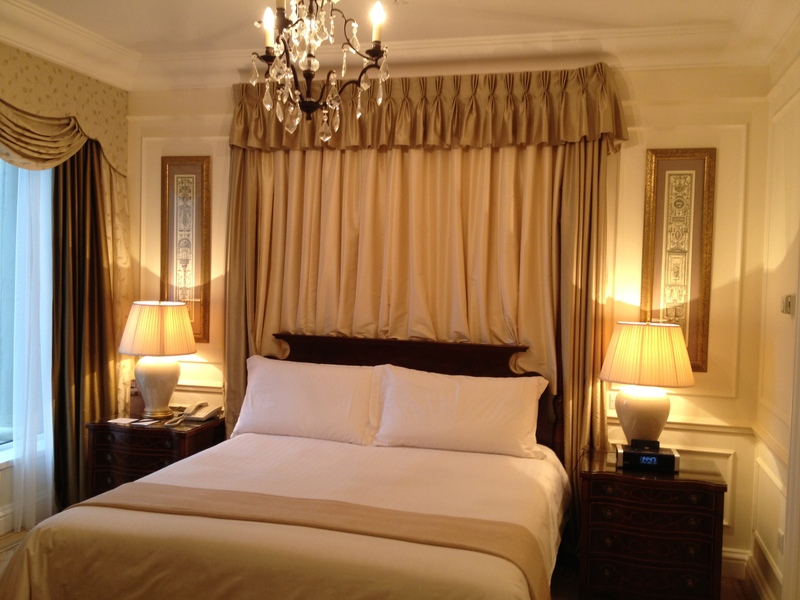 Our ground floor Daneshill suite in the East Wing overlooking the walled garden was elegant and homely, furnished in shades of gold and cream. 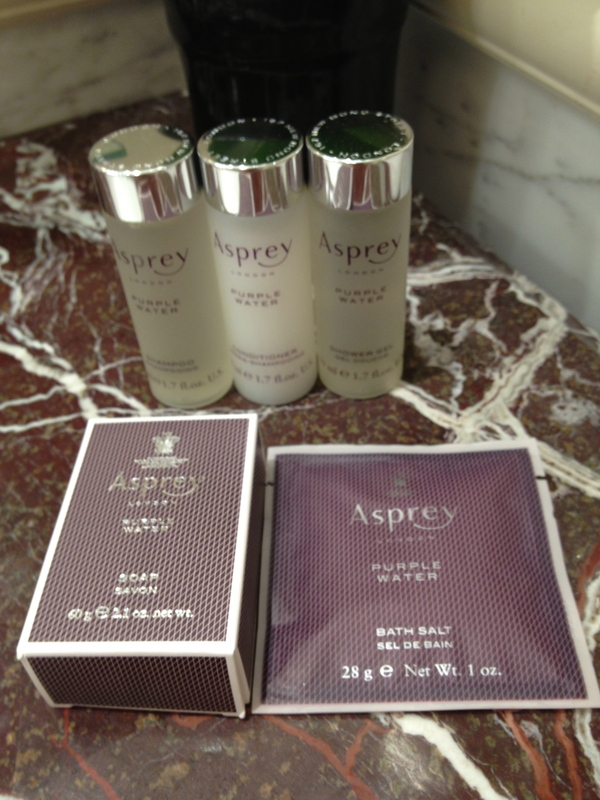 There were all the extra touches that separates a great hotel from a good hotel: Nespresso coffee machine, fresh milk, daily fresh fruit, interesting treats, proper fluffy towels, a mattress so comfortable I enquired after its maker, and gorgeous toiletries – in this case – Asprey. The Four Seasons company culture is based on a single basic principle: the golden rule is to treat others as you wish to be treated yourself. This was evident from the moment we arrived and carried right through to the second we left, and beyond. Nothing was ever too much trouble. Before checking out, I had forgotten to enquire about Jane Austen’s former home in nearby Chawton. A call to the Four Seasons en route quickly established the location, opening times and everything else I needed to know with lightning speed, efficiency and extreme grace. 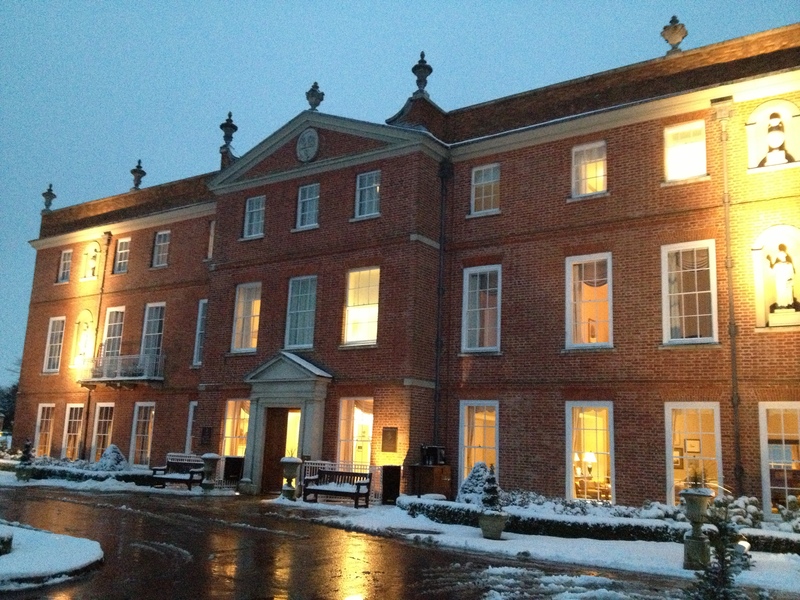 CELLOPHANELAND* were guests of Four Seasons Hampshire.